We grow Advanced Rhapis.... that's all.
" If you're after Advanced Rhapis, we'll have what you're looking for... "
We are conveniently located on Brisbanes' South side, easy access to interstate plant transport operators. We produce quality shade and sun hardened Rhapis for every situation. We are a family business and have been operating in the Garden Hire and Nursery Industry on the South side of Brisbane for over 30 years. Local deliveries organised easily and shipping to Sydney​ weekly. Shephards Indoor Gardens is a family business spanning two generations. Originating in the 1970's in garden hire & events, adding landscape and plantscape design during the 80's and 90's. 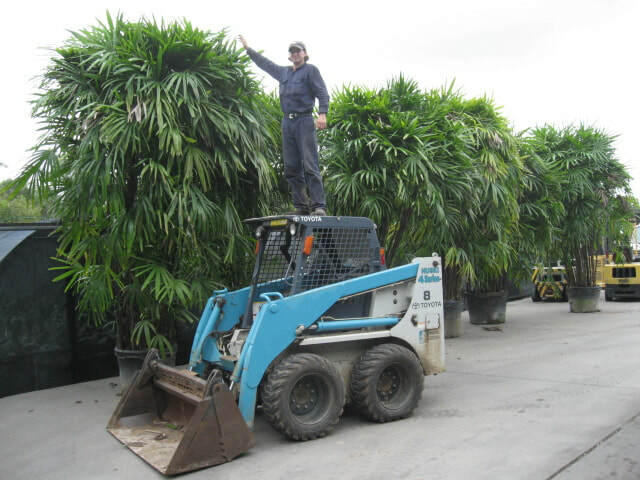 Migrating to a wholesale nursery solely growing advanced Rhapis Palms in 2008.